Prior to the match against Cambridge University, the last time I had seen John was on the touchline at the Army U23XV match v RAF U23XV. 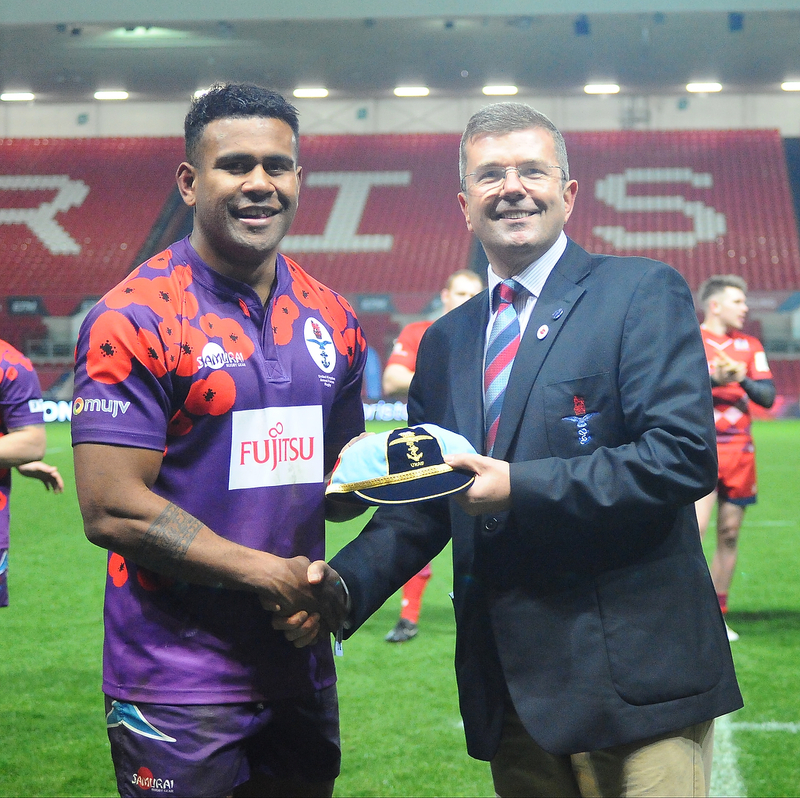 He should have been on the pitch but a broken hand sustained in a man of the match winning performance for UK Armed Forces, against Bristol, had ended his U23XV Inter Service ambitions. The emotions and mixed fortunes of sport! 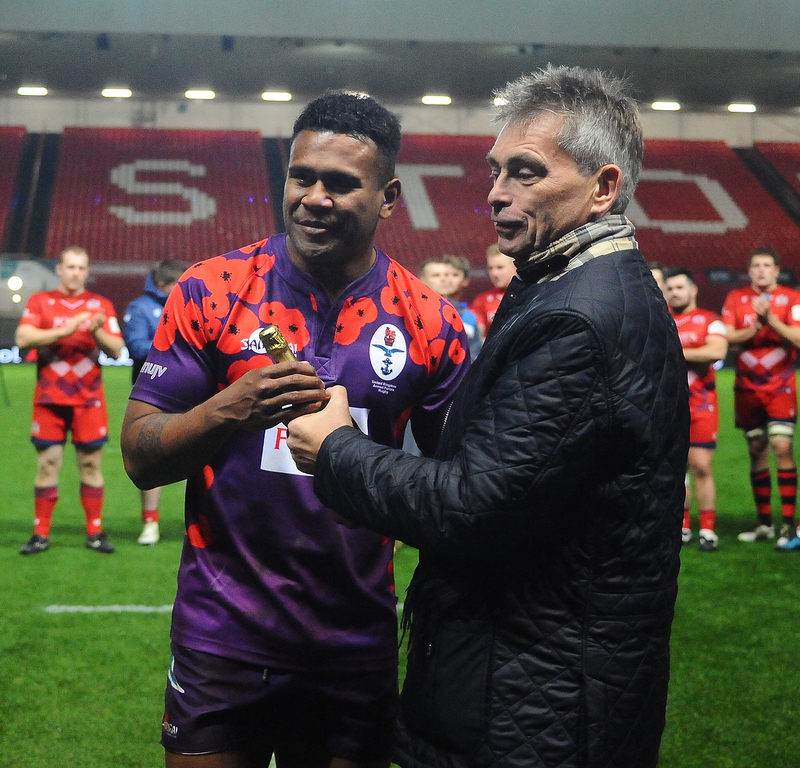 It is rare for a player to be capped by UK Armed Forces before he is capped by his single Service and with such an accolade there comes a level of expectation. 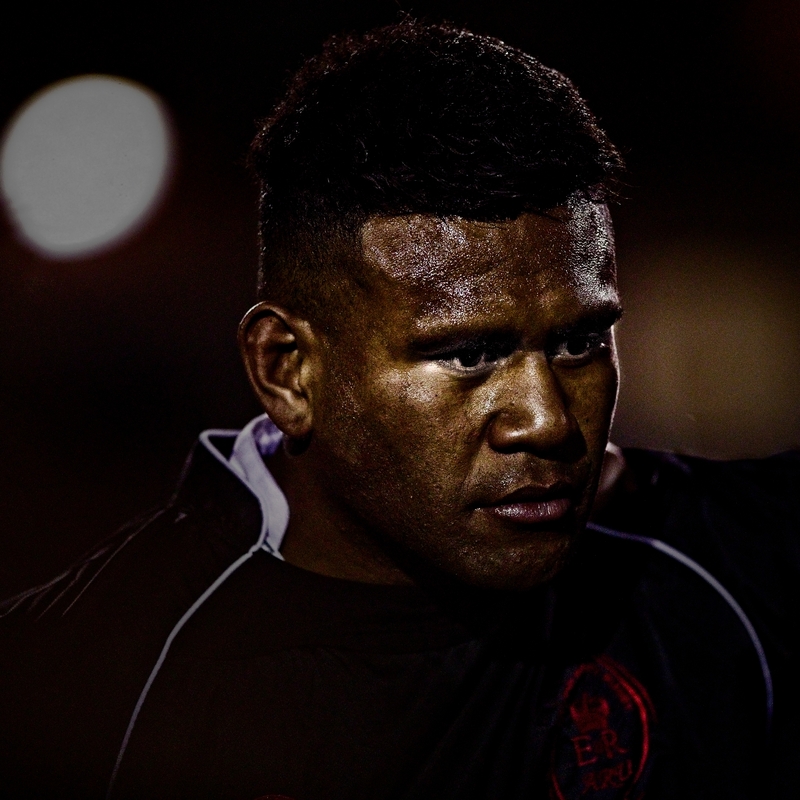 On Wednesday, at Cambridge, he only added to his reputation by scoring two tries for the Army Senior XV. 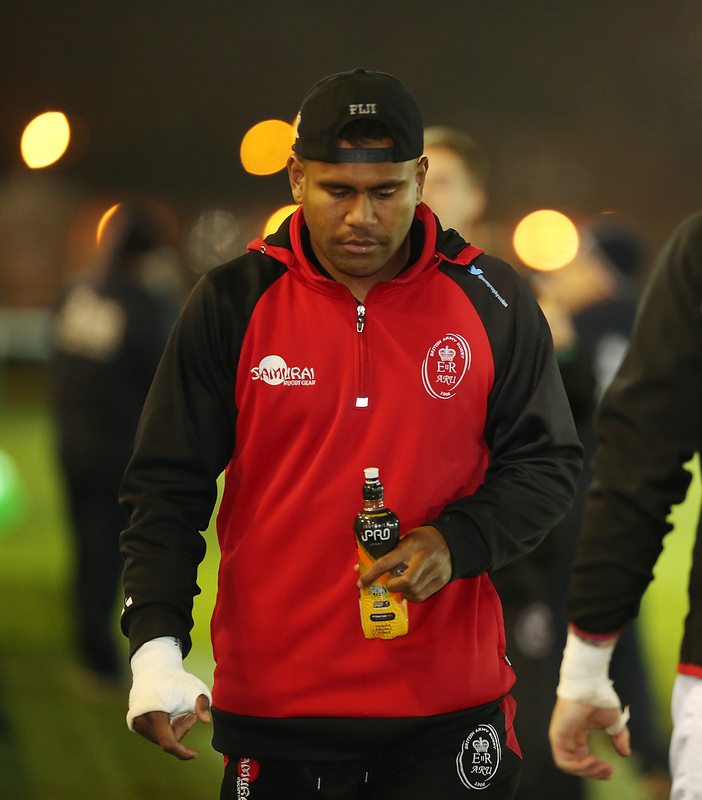 However competition for a place in the Army backline is likely to be keenly contested this year and from making a mark in January it is a long way from earning selection for the Inter Services squad in April. There will be many twists and turns of fortune before now and then and for John, no doubt, a lot of hard graft. But there is something about this young athlete that suggests he is suited to the big stage and I wouldn't be surprised to see him make his mark at Twickenham for the annual Army Navy Match. The main image was taken just after John had finished the pre match warm up. Despite a cold evening fine beads of sweat were glistening on his brow as he listened intently to the final words from Head Coach, Andy Sanger. That slightly far away look that athletes get when they shut out their immediate surroundings and zone in to what matters to them in the here and now. And it will be Andy who will no doubt carefully plot the development of John over the next few months and will ultimately determine his role on the 5th May. I am sure, if fit, he will be at Twickenham as the UKAF U23XV kick off at 12:30 (he remains eligible) but the real prize is to be on the pitch at 15:00 in front of 82,000 expectant fans, focussed and ready for the 101st Army Navy Match. In a few months we will have the answer. As I said, Andy will decide, but for this photographer I see in John something I remember seeing in Wayne Duggan (2008) and Rhys Dimmock-Williams (2016) two other young backs (both Royal Navy) who made exciting Twickenham Senior debuts as U23 players. Am very proud of my son and thank u ever so much for the great compliments about him. Please do send me his photos in his actions please.